I first stumbled upon homeopathy for childbirth when I was working on my doula certification and was looking for things with which to stock my doula bag. I wondered if there was some sort of kit of homeopathy for birth, since I had experienced wonderful results with my own family using homeopathy. I searched Amazon and low and behold, I found an amazing kit containing 18 different homeopathy remedies specifically chosen for use in pregnancy, birth and the postpartum period. I ordered that kit without delay. It is a handy little kit. All the remedies come in their own containers and it includes a small pamphlet which tells you which remedies are included and the complaints for which they may be helpful. In reading the kit, I found Mary’s Homeopathy Study Group on Facebook. It turns out that Mary, a Midwife and Homeopath had been the creator of the kit to help clients and their loved ones as well as birth workers help the laboring mother have an easier birth, should a homeopathic be useful in labor and birth. I have learned so much about homeopathy through Mary’s group. I found out that homeopathy is probably the safest type of “natural remedy” one could use, since it is so diluted down there are not actually any molecules left, but the essence of the element is left. It is that essence that ends up curing the condition that the element itself would actually cause in measurable doses. For instance Ipecac would be something you would use to induce vomiting if, for instance, someone were to ingest something poisonous and you wanted to get rid of the poison. If you wanted to make a homeopathic remedy from Ipecac in the potency often used for childbirth-related conditions, you would use a 200c potency. “To make a 200C, the homeopathic pharmacy takes one drop of the herbal tincture (called a mother tincture) and mixes it with 100 drops of water (actually at 20% solution of ethyl alcohol; the alcohol acts as a preservative). The resulting dilution is succussed, producing a 1C potency. Then the cycle is repeated mixing one drop of the 1C with 100 drops of the solution, which, after being succussed, yields a 2C potency. After 200 cycles of dilution and succussion a 200C solution is produced, which can be dropped onto milk sugar pellets which I then hand to you.” (1) So, you see, the Ipecac that causes the vomiting in a regular dose is able to actually remedy vomiting in the minuscule homeopathic potency. That is the basic principle for how all the remedies work. They also work following the principle of “minimum dose”. Meaning the smallest dose possible taken only when symptoms return is the way to actually allow healing to occur. If you follow the label on most homeopathic remedies, you will normally not only waste your money, you may risk making symptoms return, by continuing to take doses with no symptoms present. I find this fascinating! And it really does work in most cases, when you match the remedy correctly. I would like to share some examples of how I have used homeopathic remedies in real-life situations with my labor clients. One mother had to be induced with her 4 previous pregnancies. She made it to full-term with her 5th pregnancy, with the help of following the Brewer Eating Plan for Pregnancy, without developing pre-eclampsia (a first for her!) She began having strong labor contractions when she was full-term, so I headed to her house to help her. When I arrived, her contractions had completely ceased. 10 minutes had passed without a single contraction. We looked through the homeopathy booklet and found a remedy that seemed to match her symptoms well (that is a major key to homeopathic remedies working: you need to match the symptoms with the correct remedy the best you can in order for it to work. If you get the remedy wrong, you can try something else, if a couple doses do nothing). I gave her one dose and she let it dissolve under her tongue. Nothing happened, so in 15 minutes we repeated the dose. I looked through the pamphlet to see what I would try next, if that did nothing. However, within a matter of a few minutes, she began contracting quite well. In fact, her baby was safely born 3 hours later! I worked with a mother who experienced faintness while pushing. I looked through my remedy kit, found a match for her symptom and gave her a dose. I also saw that she was feeling extremely exhausted so gave her a remedy for exhaustion as well. After 2 more contractions, her baby was safely born! I had a client who experienced a rapid, precipitous birth. I gave her a remedy that matched her symptoms and within minutes she calmed down and was able to handle the rapid transition her body was undergoing. I have had numerous clients experience both nausea and vomiting for which a well-matched remedy resolved without them needing their nurses to give them medications (which they had wanted to avoid). Those are just a few examples, I have had many successes with other clients as well! As a doula, I make sure to always get the doctor to okay remedies before using them. I have only had one doctor not allow it, and it was fine because the client also decided she did not want to use the remedy. Other than that one situation, every client who has wanted to use remedies has had the support of their care providers. 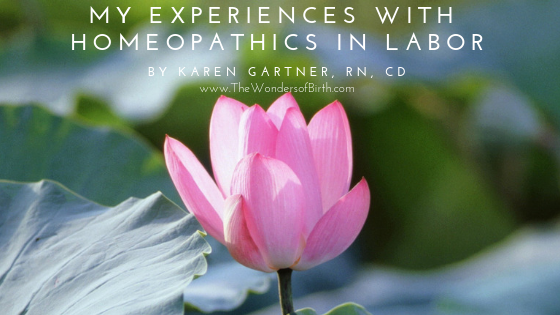 It is helpful when clients are able to speak with their care providers ahead of time and ask about using homeopathic remedies during labor and birth. If you would like to use homeopathic remedies to help your clients or loved ones during pregnancy, labor and birth, I highly suggest you join Mary’s Homeopathy Study Group on Facebook. You can find out more by reading the files. You can find additional information by visiting www.remedyseeker.com. You can find Mary’s Birth Kit (yellow) as well as several other wonderful kits she has put together at www.homeopathykits.com. If you have Amazon Prime, she also has them available for purchase on www.Amazon.com I have had wonderful results using the Blue Deluxe Kit to help my family and friends with acute illnesses and injuries, as well. Karen Gartner is a Registered Nurse who offers Craniosacral Therapy, a Certified Doula and Childbirth Educator. She enjoys studying all things related to birth and is said to be a wealth of knowledge to her clients and students. She began studying alternatives to mainstream medicine in earnest after the birth of her first child in 2003. Since that time, she has devoted much of her time to keeping her family well and helping other mothers learn how to do the same. She loves to spend time cooking and exploring the outdoors with her husband and children in her leisure time. I was noticing that more and more my family members seemed to be quite self-centered and there was a lot of bickering going on. 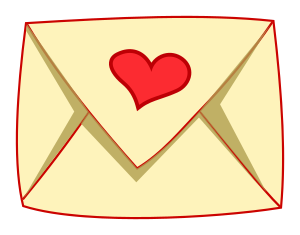 I had to figure out a way to help encourage loving-kindness in our lives. But How? Then I thought up an idea that really seemed to make a difference! We've called it the "I See Love Jar". What we do is have a cute, decorated mason jar on the counter and beside it is a post-it notes pad and a pen. Whenever someone sees someone else in the family showing love to each other, we write it down on a post-it note, fold the sticky tab in on itself and place it in the jar. It has amazed me how quickly these little acts of kindness helped to encourage everyone to think about others and how they might show love to each other. It also made them more aware of the kindnesses that were being shown to them. It may be something as simple as someone sharing a favorite toy or helping a younger family member with a difficult task. Really, it can be anything that is seen by someone else as a loving thing to do. We are absolutely not perfect, of course- far from it! But this little jar has helped my family focus more on others instead of ourselves. It is being used to form habits in my children's lives that will benefit them for the rest of their lives. If you decide to give this a try, please let me know how it goes! Do you already do something similar? What does that look like in your home? No Coupon Necessary ~ ~ Everyone Loves to Save Some Money! Looking for ways to save money on your Bradley Method® Childbirth Series or Doula Services from The Wonders of Birth? Here's how you can save and you don't even need a coupon code! Just mention this article to get the discount! * Register Early for your Childbirth Series! I am now offering an Early Bird Discount for my Bradley Method Classes! Put in your deposit at least 2 months before your series begins to receive a $20 discount! *Bundle services with Karen! The highest honor I could receive is for my Bradley® students to hire me as their doula! I want to say, "Thank you" by offering a discount to my current or past Bradley Method® Students. If you have paid for a full series of Bradley Method Classes with me, I am now offering a 20% discount on doula services! I look forward to working with you to help you have a Happy Birth Day! Any expectant mother can benefit from the nurturing support of a doula! You do not need to be planning a natural birth to benefit from the presence and support a doula provides. I have had the pleasure of supporting mothers and couples going through all types of birth experiences. Many couples find it to be a fabulous idea to invest in preparing for your birth with childbirth classes, however, birth is not something we can completely control. Normally some things won't go exactly as planned and sometimes they end up far from what was expected. Does that mean the family will be destined to have a terrible birth experience? It does not have to mean that! Having a doula with you provides a continuity of care that is difficult to come by in today's fast-paced medical center. Doctors, nurses and often midwives who work in hospitals have a lot to manage and they sadly just do not have the time to devote a lot of attention to each patient, as I am sure they would wish for. This is where having the constant support of a doula can make a world of difference to the laboring mother and her support people. A doula will remain with the mother from the time she begins needing support in labor on through the birth of her baby and beyond! It is something that my clients have mentioned they were extremely grateful to have. What if you are planning a scheduled cesarean section? You could still greatly benefit from the presence and care of a doula! There are many services a doula can provide as you prepare for surgery, go through your birth and recover. Even if you are having a scheduled cesarean birth, you still have options! A doula can help you advocate for those things that are most important to you! What if you have a high-risk pregnancy? A doula can help you stay as healthy and low-risk as possible in other areas and can often provide the extra emotional support needed to go through a difficult pregnancy. All the other benefits of a doula still apply to high-risk pregnancies. What if you choose an out-of-hospital birth? You could also benefit from the presence and support of a doula. Many mothers are still going to labor for a considerable amount of time before they head to the birthing center or call their homebirth midwives to arrive at their home. Doulas can provide support throughout the active labor, and often arrive before the midwives. 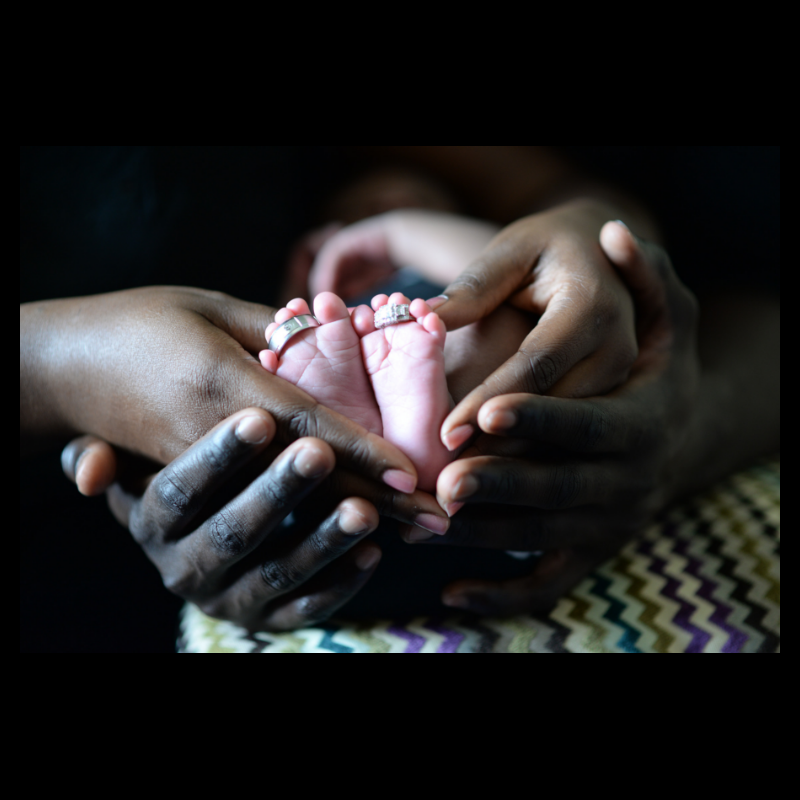 Many mothers report feeling better supported and better able to work through their labors when supported by a doula throughout their active labor, birth and beyond. Studies show that doulas decrease your risk of complications and interventions and are associated with better birth outcomes! So, why not contact a doula and set up a free consultation today. What questions do you have about doula services? Organizing "Doula Meet Ups" where the public can meet local doulas and learn more about the services we offer and how you can benefit from the care we give. Holding pregnancy, childbirth or parenting seminars at the Pregnancy Resource Center of Cleveland County. Please comment below with your ideas. After all, I want to serve my community in the way that best meets their needs! Merry Christmas, Happy Holidays and Happy New Year to each of you! Hypothetical, yet realistic thought process of a new mother, anticipating her upcoming in-home postpartum visit: "Oh, my goodness. What was I thinking scheduling my visit so soon after my birth?! What is my doula going to think coming into this cramped, cluttered, dirty apartment! I have got to get up and clean this place up before she gets here! I am so tired though, all I want to do is sleep...but I can't let her see my house looking like this!!" Make a list of all the things you want me to do-start the list with what is most important and on down to the least important, in case I can't finish everything on the first visit. Make a list of all the questions you can think of to ask me while I am there. In other words, please DO NOT do all the things I am coming to help you with before I get there. I am not thinking anything about your house or its state. All I am thinking of is how I can best support you, your baby and your family as you bond and recover from your birth! I am coming to help you with light housework, I can put food in your slow cooker for dinner, help you with feeding questions or difficulties, answer questions about postpartum recovery, depression, newborn and baby care, baby wearing, breastfeeding, help with your older children and so on! I am coming to serve you! That's what I do!